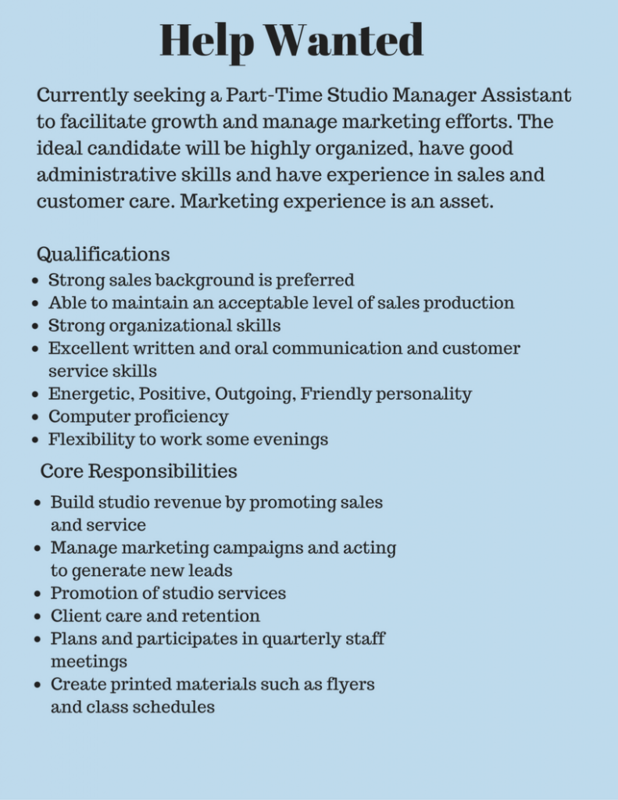 You are here: Home / social media / Help Wanted: Studio Assistant! Looking for a studio assistant and not having any luck finding that perfect person? Maybe you are looking in the wrong place! If you are a small business with not a lot of extra income to hire in house staff you might find that a virtual Pilates assistant fits your needs best! The great thing about hiring a virtual Pilates assistant is you really are only paying for productive work time versus paying someone an hourly wage to be at your studio regular hours. You pick and choose the services and help you need and it’s at your fingertips or a phone call away when you need it. If this help wanted ad sounds like the perfect fit for you, click here to schedule an official interview with Becky to see how she could become your virtual assistant. Farm Girl Marketing Solutions offers the “Becky” package, to fill this need for your studio. Becky will represent you on social media, edit and schedule your blogs, produce your monthly newsletter and promotions that will increase attendance in classes at your studio! Your challenges become my challenges. I’d love for you to interview me, to see if Farm Girl can be your partner to take your studio to the next level! Email me or schedule an interview today! Previous Post: « You Registered for the PMA Meeting. Now What?